OpenSSL is free security protocols and implementation library provided by Free Software community. OpenSSL libraries are used by a lot of enterprises in their systems and products. OpenSSL libraries and algorithms can be used with openssl command. In this tutorial we will look different use cases for openssl command. If we will use certificate in our local environment and systems we do not need to sign it by Global Certificate Authority. 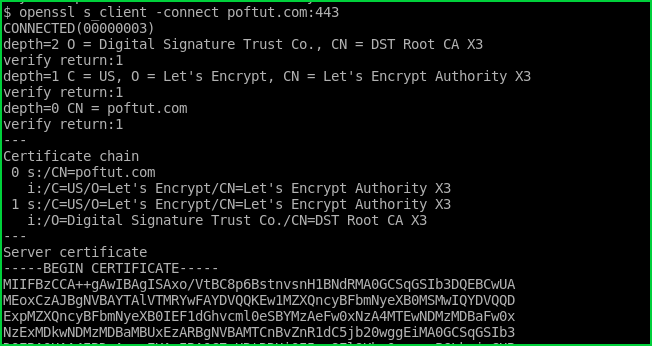 So we can generate a self signed certificate with the following command. 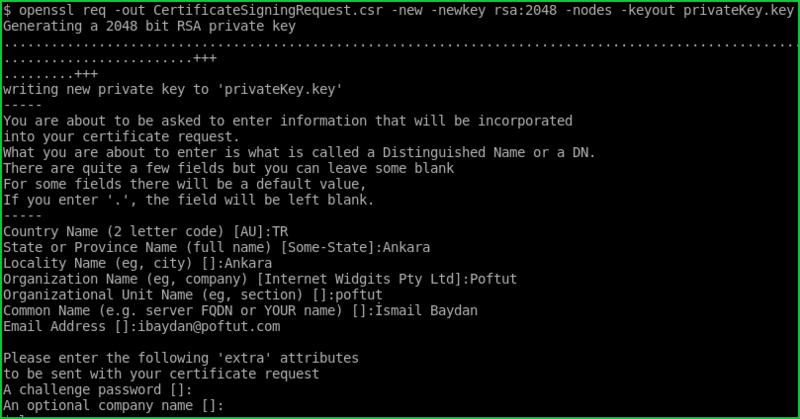 If we have all ready a certificate but we need to approve it by Global Certificate Authorities we need to generate Certificate Signing Request with the following command. We can print and check a private key with the following command. This will print key information. We can print certificate information and related parts with the following command. 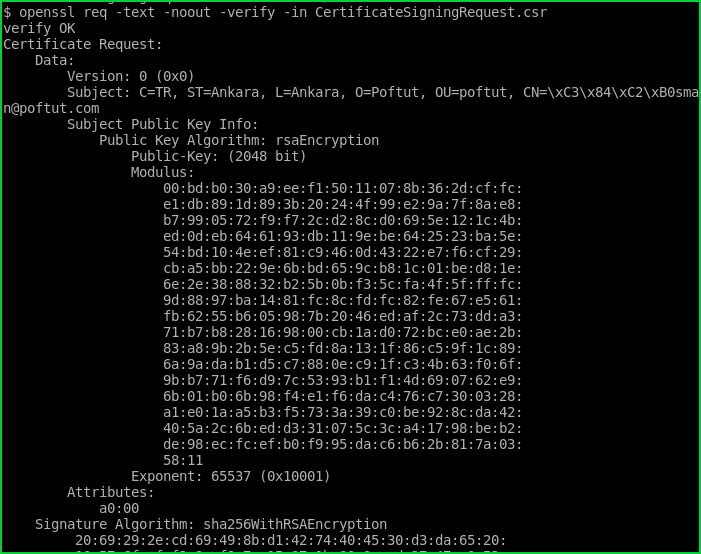 We can check and print PKCS#12 certificates with the following command. OpenSSL provides a web client which can connect web servers with SSL/TLS and print SSL/TLS certificate information. Certificates can be stored in different formats. DER and PEM are two popular format used to store certificates. We can convert DER to PEM with the following command.